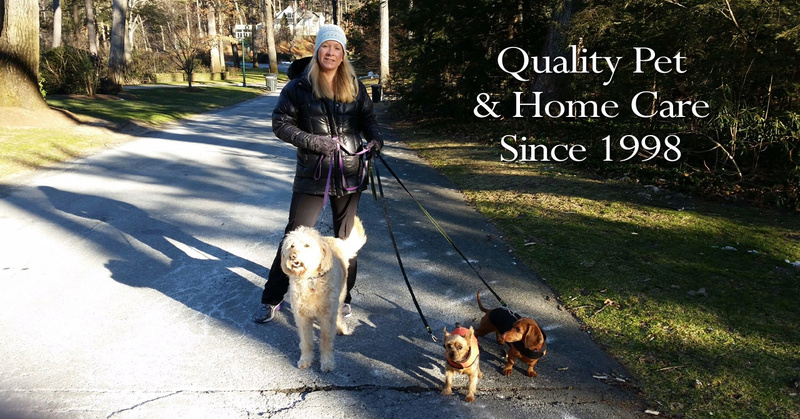 Dog Walking and Pet Sitting in the greater Springfield area. 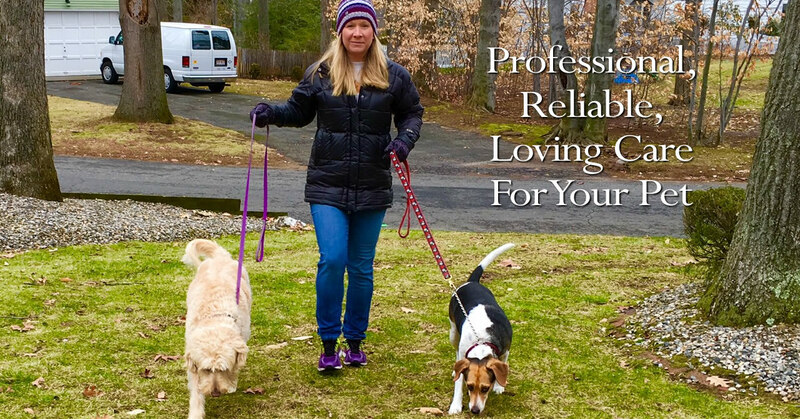 Animal Instincts Pet Sitting & Dog Walking of Western Massachusetts serves the communities of Longmeadow and East Longmeadow. We provide professional, reliable, and loving care for your pet while you are working or away in the safety and comfort of your own home. Additionally, we offer daily and/or weekly dog walking services, including reduced rate weekly packages. We have been providing quality pet and home care since 1998, and our personalized services are affordable, insured, bonded, and developed around our clients’ needs. To request more information, a brochure, or schedule a FREE consultation visit, CALL (413) 525-0385 or email us today. For clients needing occasional or daily dog walking services. Suitable for day trips or for exercise and potty breaks while the client is at work. For clients seeking care of their pets and home while they are away overnight. Multiple daily visits are available. Even if you have no pets needing care, you can have peace of mind knowing your home will be checked on regularly. Services offered include plant watering, pool maintenance, mail/newspaper retrieval, light alternating and heating/plumbing checks. Animal Instincts Pet Sitting And Dog Walking offers a convenient and loving alternative to boarding your family pet. To request more information, a brochure, or schedule a FREE consultation visit. We’ve been a client since 2007, Jenn takes excellent care of our dog. In addition to her daily notes, she will call us if she has immediate concerns about his well being. Knowing that my fur baby is well cared for on a daily basis brings me great comfort and peace of mind. I’d highly recommend for those seeking high quality pet care! Thanks so much Jenn for all you’ve done for us for 10 years now. Appreciation and excellence cannot be mentioned enough. You’re the absolute best! Our experience has been incredible! 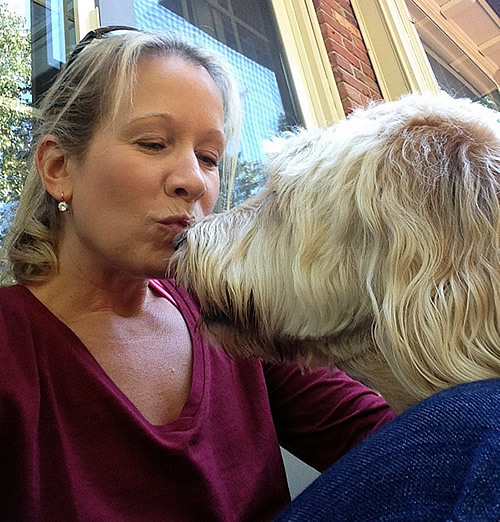 We trust Jenn with our beloved dog and feel confident and safe with the access to our home. We don’t know what we would do without her!! We were completely impressed with how easily you managed Abby and Bugaboo’s care, especially the shots… Thank you so much. Thanks so much for caring for Baxter and Daisy…We were confident that they were well cared for. We look forward to future contact! I was very comfortable leaving Michael in your care while I was away. I didn’t even worry about him. In speaking with our neighbors and reading your journals, we know they received your love and that means more to us than you will ever know. Thank you again. I am very impressed with your professionalism, caring nature and interactions with Zeke. It was a blessing to have found your company. I would highly recommend you to others. 2016 © Copyright Animal Instincts Pet Sitting. All rights reserved. Website powered by NorthernLogics.